Few will argue with the fact that the floors in the house should be different not only beauty, but also environmental friendliness, and for this you need to be able to properly lay the floorboard. Such material is becoming more and more popular, and there is nothing strange in it - the floorboard has a long service life, attractive appearance, ease of care, resistance to moisture and temperature extremes. It is possible to lay the floorboard with your own hands, if you follow certain rules, it is also available for beginners. How to lay the floorboard on the logs? Laying the floorboard on the logs. If the house has wooden floors and high ceilings, then it is recommended to apply this method. But it must be borne in mind that it is permissible to use flooring, the thickness of which is at least 30 mm. 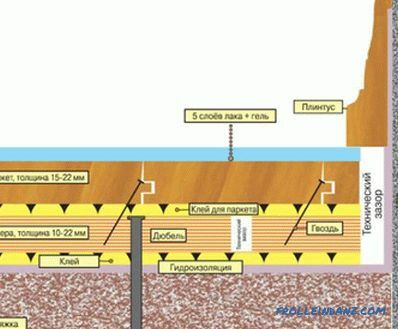 When laying is carried out on the first floor of a building, it is necessary to lay a waterproofing layer. 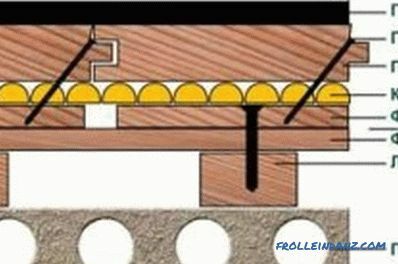 It is possible to carry out laying of roofing material, it is necessary to make an overlap on the walls and solder joints. 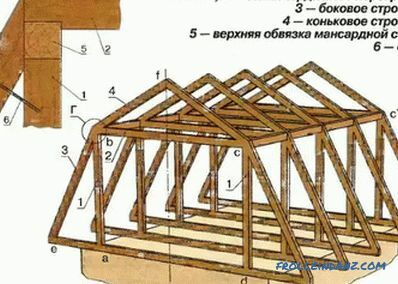 Now you need to start installing the lag, for this you can use wooden bars, the cross section of which should be 50-70 mm, they must be necessarily treated with an antiseptic. 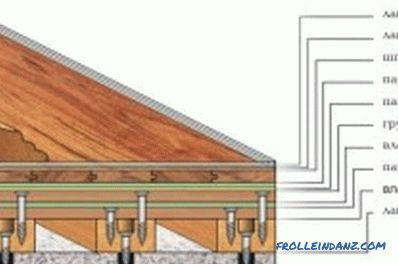 As for the step distance between the lags, it should be approximately 65-70 cm, if the width of the floorboard is not more than 35 mm. The laying of the sound insulation layer is also an important point, for this you can use expanded clay, mineral wool. In order for the effect to be large, you can apply a substrate that is made of padding polyester, laminate or glassine. Laying of floorboards should be carried forward with a comb towards the master. The first board is fastened with self-tapping screws where the cover will be covered with a plinth, and the fastener that remains is screwed at an angle into the crest of the board. If the boards are short, then they are located on the logs. Now it is the turn of grinding and varnishing the floor. The floorboard is polished in 3 directions. After sanding is finished, the pile should be raised on the wood. As for the primer, you should apply 3 layers, but each must be sanded. It is best to use fine-grained sandpaper for this. Flooring should be varnished, which has increased strength. It is necessary to apply at least 2 layers. How is laying on glue? Laying the floorboard on glue. For this, you can use only those boards that are perfectly smooth. 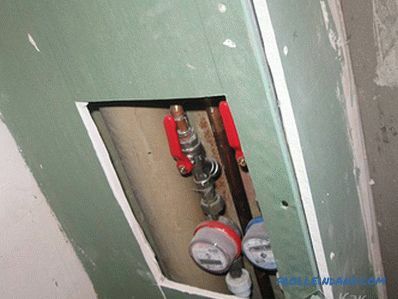 They should be fastened with screws, and the holes left after fastening should be closed with special plugs. This method is preferable to use where the ceilings do not differ a great height. In order for this work to be carried out at the highest level, you need to choose the appropriate glue. 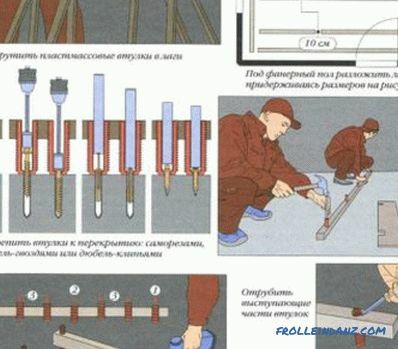 If the slats are short (no more than 50 cm), then the use of any glue is permissible. 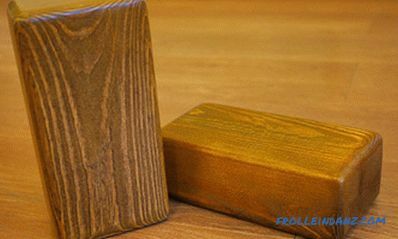 Dispersion glue is not suitable for beech boards and exotic woods. If the boards are large, it is recommended to use glue, which has a two-component epoxy-polyurethane composition, which has synthetic resins. Whatever glue is used, it must be strong and ductile. Boards can be put on the existing floor, if it has the necessary stability, the first thing to do is to grind the floor with a sander. It is permissible to use a special moisture-proof film, which is made of polyethylene foam. It is used in cases where the moisture-proof and heat-insulating qualities of the floor are insufficient. And you can first cover the floor with plywood, the sheets of which should not exceed 12 mm, it should be carefully polished. If the boards are laid on the foundation of concrete, then you need to take care of the waterproofing layer. To do this, it is permissible to use primer mastic or foamed polyethylene, the mastic should be applied with a roller. It happens that mastic has a higher density, then you need to use a solvent. If there is a plywood base, then you need to stop your choice on plywood, which has a thickness of at least 18 mm. Plywood sheets should be secured to the concrete with screws or dowels, the sheets are laid diagonally, after which they are sanded with a belt sander. Before laying, the boards should be removed from the packaging and left for some time where the work process will be carried out. It is necessary that the boards lay there for at least 10-14 days. Thus, you can not fear that the floor will be deformed. 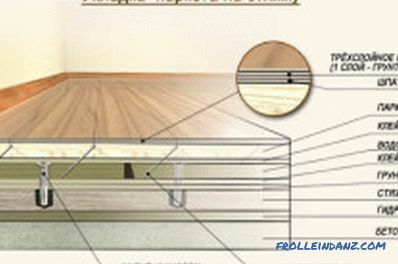 To the base of the floor, such boards should be attached with screws, their caps should sink into the grooves a couple of millimeters. As for the holes for fasteners, then they should take care in advance. It is necessary to take into account that even if the floorboard is laid on a flat base, there is no waterproof film and parquet glue is used, then self-tapping is still necessary. 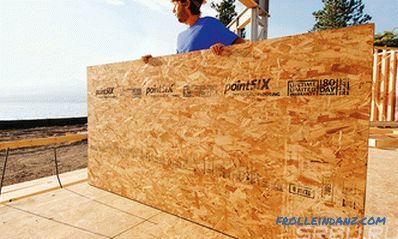 Boards must necessarily fit each other with maximum density, for this you need to use wedges, between them and the walls must be left a gap of 10 mm.